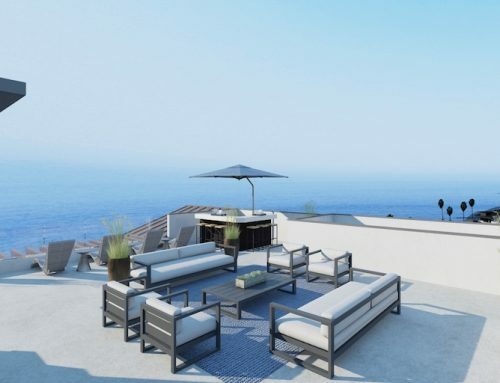 The Westside’s favorite luxury condos are nearing their final sell out, and only a couple of popular Plan 4X floorplans remain for Marina del Rey new home buyers. These two-bedroom, two-bath, 1,050-square-foot residences are on the penthouse level of the community, offering excellent locations and great views to go with the spacious designs, high-end features, and thoughtful use of space that has made X67 Lofts a fast-selling new-home community. Experience a great sense of arrival as soon as you enter into this X67 Lofts home. Open sightlines provide a beautiful view through the gourmet kitchen and living space and out onto the expansive view deck, while wood flooring and sunlight that streams in from multiple windows create an inviting yet modern feel. The kitchen is a showplace, with a large island with eating bar; sleek Caesarstone® countertops; abundant European-style cabinetry in the latest finishes; KitchenAid® stainless steel appliances; and designer backsplashes. The large living room makes entertaining a breeze, and the smart layout of the room allows for ample wall space for furniture and artwork. X67 Lofts’ 4R kitchen in this Marina del Rey new home is a chef’s and entertainer’s dream. On either side of the living room is a well-designed bedroom that provides all the space and style Marina del Rey new home buyers are looking for. The master bedroom boasts dual walk-in closets as well as a luxe bath with double vanity; a soaking tub/shower combination; designer-tile; and Caesarstone countertops. The second bedroom adds a large walk-in closet and a shower with glass enclosure, while both bedroom spaces, plus the living room, lead out to the large deck, which extends the full width of the condo. Buyers have fallen in love with X67 Lofts, where Marina del Rey new home buyers can live it up with up to two bedrooms plus den and two-and-one-half baths in up to 1,906 square feet. The community’s resort-style amenities include a dipping pool with cabana-style pods; a Residential Services Attendant seven days a week; a community fitness room; and a community room for events and activities. 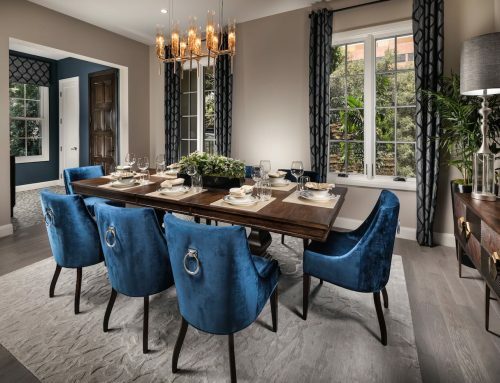 Entertaining friends at home is easy, whether you serve a great meal prepared in your gourmet kitchen or on one of the barbecues in the courtyard. Whether you push aside the doors to your private deck for a little outdoor lounging or head to the outdoor lounge on the fifth floor, instead. 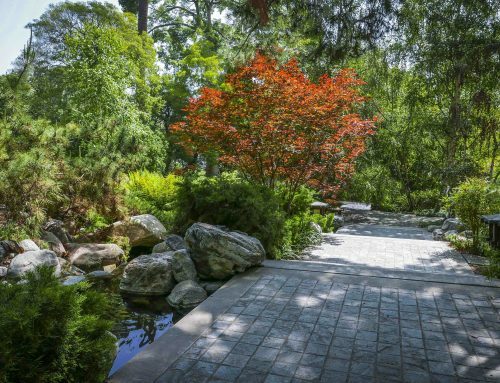 Or, whether you opt to spend the day or evening exploring the area. Marina del Rey and Venice await, with great shops, restaurants, bars, cafes, waterfront activities, and galleries all within walking distance. 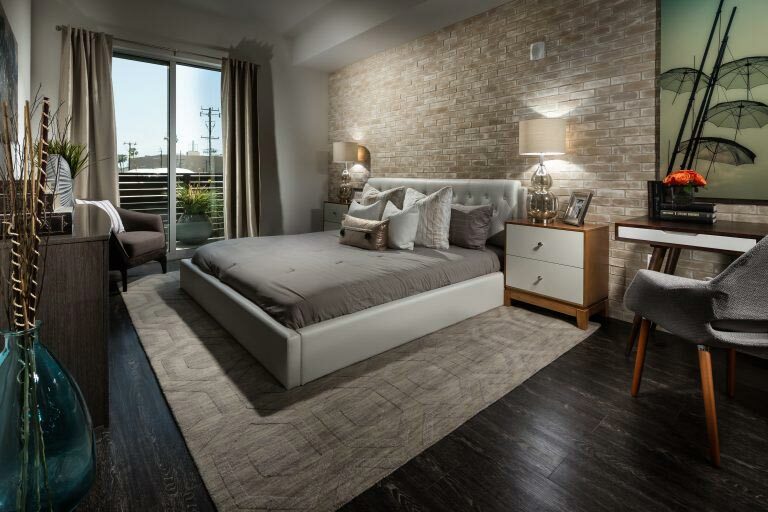 The X67 Lofts 4R master bedroom showcases luxury living in this Marina del Rey new home. X67 Lofts’ final few luxury condos are priced from the $900s to the mid $1 millions. For more information about buying a Marina del Rey new home in its final release, visit X67 Lofts or call 866-387-6115.